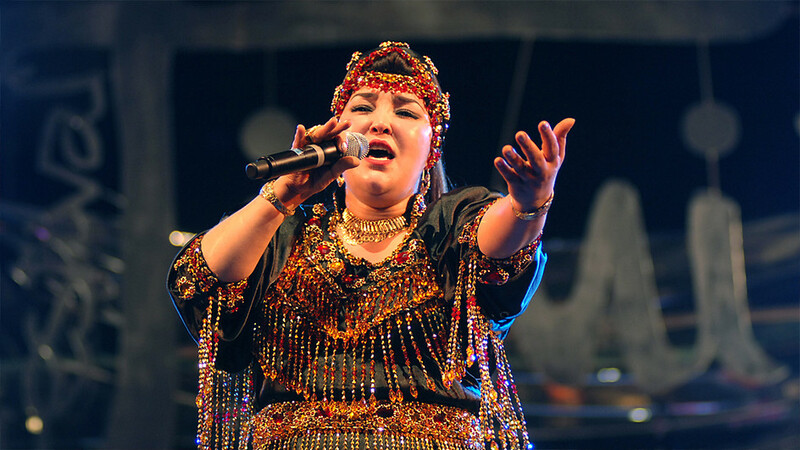 Unlike many of its allies and neighbors, Morocco has remained quietly out of the political spotlight during recent years, having largely escaped the political unrest and revolution of the Arab Spring. 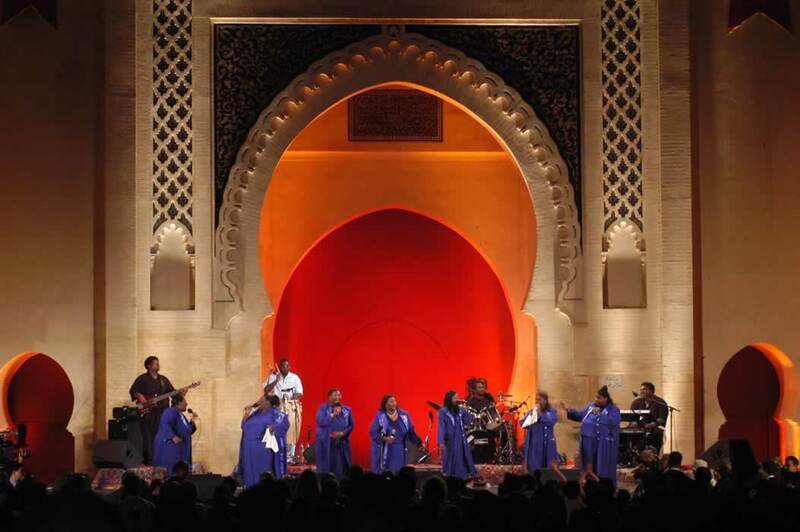 Last year, however, the Kingdom was afforded the cultural limelight in Paris, France, in a series of events called A Moroccan Autumn in Paris. Despite France’s long-standing relations with many North African and Arab nations, it is unprecedented for one country to receive the concerted attention that Morocco has been enjoying these past few months. In two simultaneous exhibitions, on Modern and Medieval Morocco, have highlighted and celebrated Morocco’s artistic contribution in the Institut du Monde Arabe (Arab World Institute) and the Louvre Museum, respectively. Medieval Morocco: An Empire from Africa to Spain, features works from the 11th to the 15th centuries CE/AD. 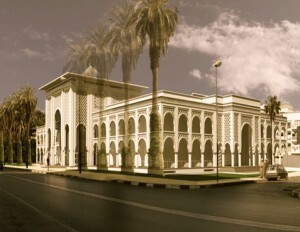 In contrast, the institute’s Contemporary Morocco showcased work by 80 living artists. 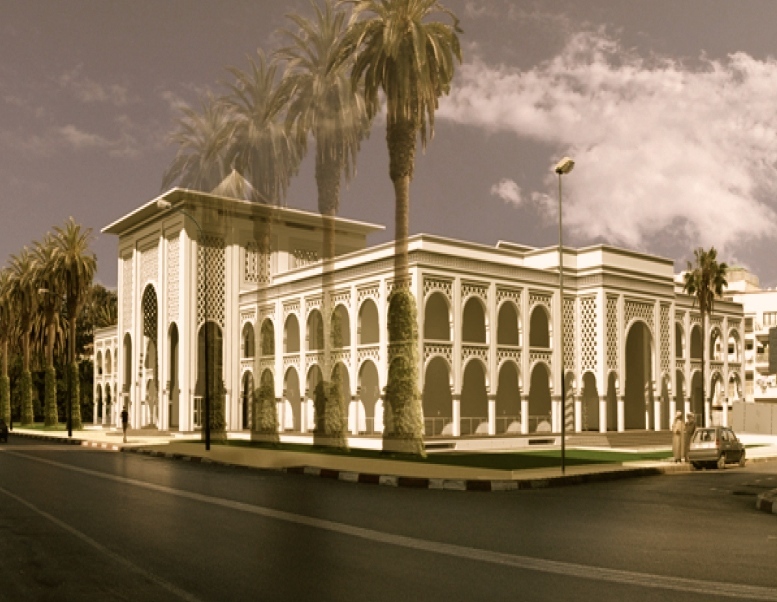 The great news for culture enthusiasts, historians and visitors to Morocco is that the Medieval Morocco Exhibition will travel to Rabat in 2015! The exhibition will take place from March 2nd – June 1st. The medieval era in Morocco was one of great conquering dynasties – the Idrisid, Almoravid, Almohad and Marinid sultans ruled great swathes of modern day North African (Algeria, Tunisia and Libya), Mauretania, Mali and into the Iberian Peninsula. Additionally, it was a period of great artistic, cultural, religious and scientific endeavor. The 300 pieces on display have never been assembled in one place before – many of them have never travelled – and have been brought together from Morocco, Spain, Mali, Mauritania and Tunisia. The collection has been curated by French and Moroccan experts to bring this little-known period of Arab, European and African history to a wider audience. The artifacts span disciplines as diverse as architecture, engineering, Islamic ornamentation, textiles, pottery and Arabic calligraphy. They are arranged chronologically to enable a sense of historical and geographical context, tracing the rise and fall of successive dynasties, their seats of power and the breadth of their realms. One of the most significant artifacts on display is a chandelier from the Al-Qarawiyyin Mosque in Fez, the oldest university in the world. 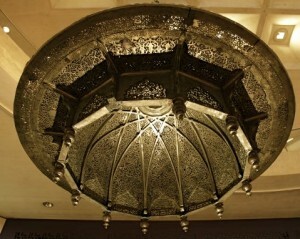 The polished copper chandelier was created in the 13th century once held 520 oil lamps. It was a challenge to extract it from the labyrinthine Fez medina (old city) and on exhibit it is lit as it would be in the mosque. Other exhibits, such as a minbar (a podium from which an imam preaches) from the same mosque were too delicate to transport. 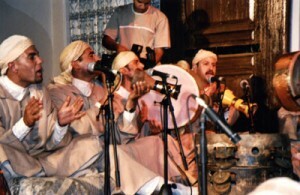 To see this exhibition in Paris is special, but to see it in Rabat would make a perfect backdrop to your tour of Morocco, providing a great impression of the magnificence of the erstwhile Islamic empires and a sense of the origins of much of the cultural, artistic and architectural practices you will see on your trip. Medieval Morocco: An Empire from Africa to Spain, is on at the Mohammed VI Museum in the Moroccan capital, Rabat, from March 2 to June 1, 2015. In the depths of winter, once the end-of-year festivities are over, is a great time to plan a spring break. Just dreaming of longer, sunnier days makes the winter fade and the spring seem closer. And where better to travel in spring than Morocco? You will find agreeable temperatures, trees in full bloom after the rains of winter and a range of activities and festivals in Morocco to give you a deeper insight into the natural and cultural diversity of this fascinating country. Unless you wish to undertake specific activities which are dependent on the climate, the spring (March-May) and Autumn (September-October) are the best times to visit Morocco. This way, you will avoid the rain and chills of the winter and the searing heat of the interior and desert of the summer. For example, in Marrakech in Spring, the temperature is around 18-27°C (64-85°F) and in the evenings a light sweater is usually sufficient. 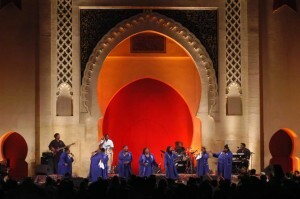 Marrakech is a great starting point for a spring tour of Morocco. Once you have explored the sights and souks of this former imperial city, you can head into the Atlas Mountains, to the west. 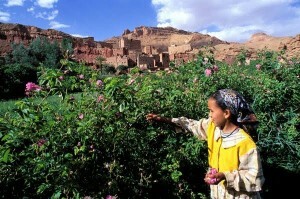 The mountainsides of the High Atlas and (further north) Middle Atlas ranges are Morocco’s fruit bowl. Depending on the location and when in spring you travel, you can trek, climb and ride on horseback among the beautiful blossom of apple, walnut, almond or cherry trees. A popular day trip destination is the Ourika Valley, where you can enjoy lunch in the valley base beside the babbling Ourika River and hike up through a series of waterfalls. More experienced trekkers will find spring an ideal time to ascend Mount Toubkal, North Africa’s highest peak at 4,167 m (13,671 ft) and will still find a little snow at the top! A longer tour might take you towards the spectacular Tiz-n-Test pass as you head south towards the Souss Valley and Anti Atlas region. As you travel out of Marrakech, you will pass many plantations of conifers and fruit trees. The area around Ouirgane is stunning at this time of year and hikes in the hills and valleys can easily be combined with a visit to the historic Tin Mal mosque – built in 1154 and one of only 2 mosques in Morocco open to non-Muslims. 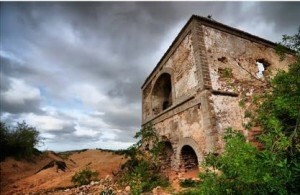 Despite its isolated location, Tin Mal was the cradle of the Berber Almohad empire. If you travel to Morocco in May, we recommend you take in the Rose Festival in Kelaa M’Gouna. Dedicated to the famous roses of this area in the spectacular Dades Valley, this festival also celebrates local rural life and all the derivatives of rose you could ever imagine, including cosmetic products and the delicate rose water present in most Moroccan pastries and cakes. Your trip in this region could also take in kayaking or canyoning the rivers full of snowmelt, a night in an ancient fort along the ‘Route of 1000 Kasbahs’ or a trip into the Sahara Desert when the days are balmy and the nights clear and starry. You shouldn’t miss the opportunity to see a Saharan sunrise or ride a camel over the dunes! Spring is also a good time to visit Morocco’s Atlantic Coast. In Agadir, temperatures are already summery, providing for days of golfing, swimming and watersports. To the south in the Souss-Massa National Park, spring is a great time to see native nesting bird species and bid farewell as migratory birds head north. Further up the coast in Essaouira, the trade winds start to pick up in spring, bringing fresh fish to the dockside. 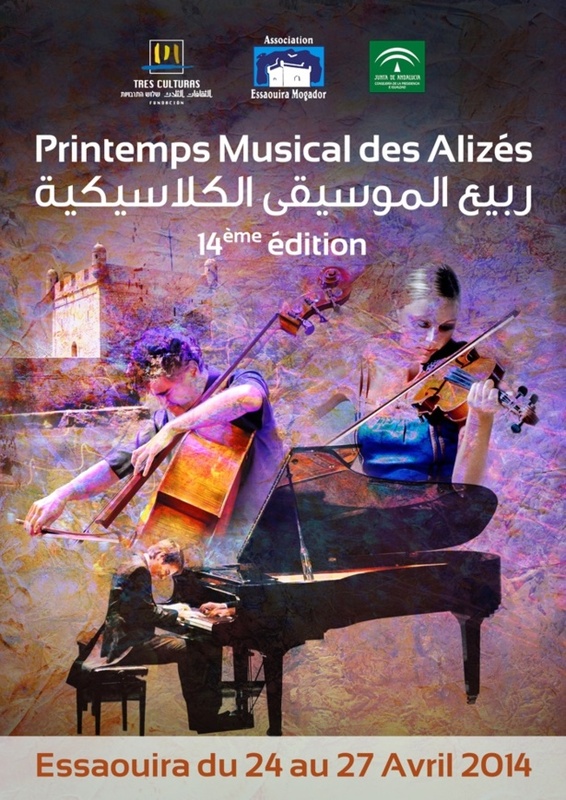 Essaouira is also the venue for the Festival Printemps des Alizés – a classical music festival held to coincide with the main moussem season (period of festivities and pilgrimages to honour local Muslim and Jewish saints) in April/May. If you are lucky, your trip might coincide with a display of Arab horsemen, known as a fantasia. At these events, teams compete to charge their horses and fire their rifles in unison. 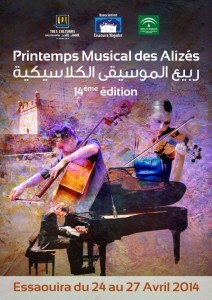 It is a unique event not to be missed if you are in Essaouira Province in spring! Springtime is a great time to visit Morocco. From Marrakech, you will see snow-tipped mountains while sitting in a climate like a Northern European or North American summer. 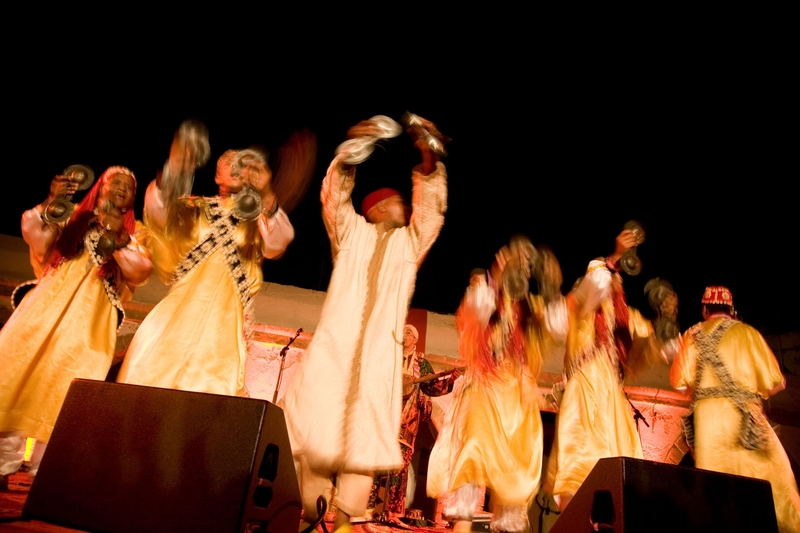 The opportunities to explore Morocco’s countryside – the mountains, desert and coast – are unparalleled at this time of year and a range of festivals also offer an insight into Moroccan culture. 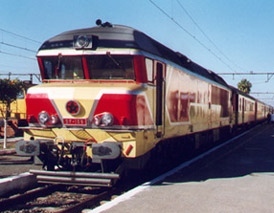 You are currently browsing the Travel-Exploration Blog blog archives for January, 2015.